The principles of good community management can benefit more than just professionals in our industry. They can be applied by managers and executives in other disciplines, helping them to be more effective leaders. Is community management an art – or a science? If you enjoy our show, please know that it’s only possible with the generous support of our sponsor: Emoderation. Venessa Paech is the global communications manager for Envato. She has built and managed a large array of online communities for multi-national brands, startups, governments and non-profits, including travel publishers Lonely Planet and REA Group (who own and operate the $5 billion dollar ASX-listed realestate.com.au). In 2009, she founded the Australian Community Manager Roundtable and, in 2011, co-founded Swarm, Australia’s first and only community management conference. In 2015, she commissioned and released the first Australian Community Management career survey with Quiip and Dialogue Consulting. Venessa has a Bachelor of Fine Arts in musical theatre from the Tisch School of the Arts at New York University and a Master of Arts degree in virtual ethnography from the University of Brighton. She is a published scholar on online communities, and a speaker and consultant on communities and cultures. In 2016, Venessa is launching a new consultancy with Swarm co-founder Alison Michalk, called Future Culture, that applies community management methodologies to organizational challenges, such as employee engagement and remote teams. 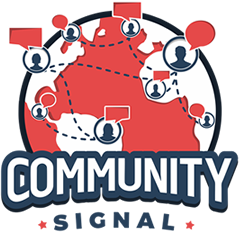 00:04: Welcome to Community Signal, the podcast for community professionals, sponsored by Emoderation, smart social, globally. Here’s your host, Patrick O’Keefe. 00:20 Patrick O’Keefe: Hello, and thank you for joining me for another episode of Community Signal. Don’t forget to tweet as you listen using #CommunitySignal. On this episode, we’re chatting with Vanessa Paech. Vanessa is the global communications manager at Envato. She has built and managed a large array of online communities for multinational brands, startups, governments, and nonprofits including travel publishers, Lonely Planet, and REA Group who own and operate the $5 billion ASX listed realestate.com.au. 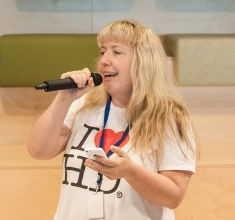 In 2009, she founded the Australian Community Manager Roundtable, and in 2011 co-founded Swarm, Australia’s first and only community management conference. In 2015, she commissioned and released the first Australian Community Manager Career Survey with Quip and Dialogue Consulting, you can find it at acmsurvey.com. 01:02 Patrick O’Keefe: Vanessa has a Bachelor of Fine Arts in Musical Theatre from the Tisch School of Arts at New York University and a Master of Arts degree in Virtual Ethnography from the University of Brighton. She is a published scholar on online communities and a speaker and consultant on communities and cultures. In 2016, Vanessa is launching a new consultancy with Swarm co-founder, Alison Michalk, called Future Culture that applies community management methodologies to organizational challenges such as employee engagement in remote teams. Vanessa, welcome to the program. 01:33 Vanessa Paech: It’s a pleasure to be here, Patrick, thank you. I am a bit of a mouthful. 01:36 Patrick O’Keefe: No, no. 01:38 Patrick O’Keefe: Thank you for coming on. You’ve done a lotta things, so the bio reflects that. Now, the first online community that grabbed you as a participant was XPA, the X-Philes Anonymous BBS, that was set up and supported by Fox as part of its original x-files.com website, this community proved pretty impactful in your life, didn’t it? 01:55 Vanessa Paech: It certainly did both personally and professionally. And I have to say, I think to their credit, Fox was a company that was really ahead of the curve in terms of understanding the sort of power and the potential of setting up an online home to gather its fan base, and to give them quite a lot of creative control and empowerment over sort of interacting with that pop cultural property, which was obviously a big cultural touch stone at the time, and of course it’s due to come back on screens shortly. So, that’s kind of, it’s come full circle. 02:23 Patrick O’Keefe: And making them relaunch the BBS maybe? 02:26 Vanessa Paech: That would be fantastic. Yeah so look, XPA was influential. I first came across it as sort of a real, early adoptive X-Files fan. I started to watch the show from the beginning back in 1993, and it was right around that time just before that that I was discovering the early web itself and the kinds of different groups of people that were out there. And interacting, and forming groups, and uncovered this community that both was in that space but also spoke to a passion of mine. It was fairly small to start, kind of 40, 50 people, it grew to round about 200 at its peak, and these people became overtime lifelong friends. I actually met my husband in this community, so that that’s kind of a fun geek story, geek love story. And it was so novel at the time that I recall was a US TV station that did an interview with us, because I was living in Australia at the time, he’s from the United States. And we met on this internet community, which was definitely a bit novel. Throw in the X-Files and you got all the makings of it, a good little human interest story. So, I recall talking with the press about what it was like to meet in cyberspace long before sort of the array of online dating stuff that we have these days. 03:39 Patrick O’Keefe: Communities, and we might find someone. 03:41 Vanessa Paech: I think it’s actually a really interesting comment though, to be honest, on the fact that neither of us were, obviously, we weren’t in that space looking for a relationship. That’s not why we were there. We were there because it was a community of passion and a subject matter interest. And yeah, it really is no different, to… Obviously, that’s how people meet offline all the time as well. So, it’s quite logical to us and probably to many listeners of your podcast. But I do think that people found it somewhat anonymous purely because they’re within in this sort of online space, which felt very exotic and alien at the time. But it’s just an example if you’re bound by that much common interest, then yeah, potentially that’s the spark of something great. 04:14 Patrick O’Keefe: I feel like it’s an achievement unlocked for a community professional when two people meet and get married from your community. I know a lot of other community professionals that have had that happen. I have never had it, so I’m kinda lacking in that department. But I feel like it’s one of those things you always hear people talk about the first time that someone in their community meets or gets married, it’s kind of a funny thing. 04:33 Vanessa Paech: It is. No, I agree, actually. And you do certainly see that, I think, with some great communities out there. And I think particularly with those in the more longitudinal communities those that sort of forum environments much like the one I managed at Lonely Planet, the Thorn Tree forums. When I joined that company, the community had already been around sort of eight or nine years, it was already incredibly well-established and it’s now been around 15 years plus births, deaths, marriages, and then some. There’s this incredible cultural history that is sort of there as wallpaper in that community, and it’s a powerful way to understand and really important actually, for any new community professionals sort of joining a space, particularly if they haven’t brought that community and gone on that journey from scratch to take the time to invest in, not just understanding the mechanics and the goals and purposes and the mechanisms in that community and how it connects to its sort of host entity. But also actually all that social glue that really makes a community what it is, and understanding the different shades of that, I think, it’s gonna make them much better at their job. 05:28 Patrick O’Keefe: Yeah. It’s a culture, right? It’s its own kinda culture, each community. And I think for a lot of professionals, this may be hard to fathom because they may have only been doing it for a couple years or they may have only been able to manage one community, a specific community for a relativity short period of time. So, they haven’t had the chance to be in charge or be responsible for a community that has been online for five years. I have managed the same community for 14 years. I could see myself running it for a very long time, no matter what I’m doing professionally or personally at the time, and when you do it for that long, you really get the story of life. I mean, people get married, people die, there’s sadness, there’s happiness. When you are with one community for so long it’s a really interesting personal thing. 06:09 Vanessa Paech: It is, it really is. And, as so many community professionals understand, how you codify and mark those different milestones in a way that’s relevant and respectful to the community, and in the language and social norms of that community, is actually really important. And it’s so important that you do acknowledge them and let them have that space, including things that could be quite sad or unpleasant, as you said. It’s not just important to celebrate the victories. You’ll really need to take those moments to acknowledge the trials and tribulations as well. I think that’s actually quite challenging sometimes. I know in both from my own experience and talking with other community professionals around, because you are often that interface, if you’re doing it in a commercial context and if you’ve got a community that’s quite robust and has developed over time, you’re still going to have that irrespective of what that subject matters about. Arguably, some subject matters are more prone to it than others. 06:55 Vanessa Paech: But, it’s going to develop through the links of those relationships. And you serving as the interface between those relationships and that sort of host entity, it’s definitely a complicated, sometimes pretty sophisticated discussion that you need to have with a commercial minded colleague, perhaps, who’s looking at the community purely, let’s say from a business asset point of view. Which it may well be and it’s equally a role to champion and help kind of unpack that value. But, to be able to talk to the social and cultural points without trivializing them and without diminishing them it can be a real art. And, I think that’s an important skill for community professionals to hone over time. I know that in some early roles I had, that was a big learning curve for me and I would be communicating it as best I could, but the people I was communicating it to, they felt that it sounded a bit high school, was one of the words they used. So, I wasn’t obviously doing a great job yet at explaining why that connective tissue is of value to their business as well. Clearly, it’s a value to the community members and why it’s quite legitimate. 07:56 Vanessa Paech: It could’ve been… I was trying to be a bit diplomatic. 07:58 Patrick O’Keefe: It could’ve been both, right? 08:00 Vanessa Paech: It could’ve been both, yeah. I do think that’s also a very interesting point when you’ve got so many businesses and brands these days awakening to the power and value of communities which is wonderful. And It obviously makes for a rich time for people in the business of community. But, I do think that because some of them are newer to the space and not necessarily aware of the race that they’re about to run. And certainly there’s a lot of amazing practitioners out there, yourself included, and many of the guests you’ve had on Community Signal who will talk to and explain in great detail how you need to resource these communities, the kinds of things that you can expect over time, to help people understand that it’s not a “Set and forget.” It’s not something they can kind of just leave and be done with it. But it’s actually… It’s a big commitment on a number of levels. 09:32 Patrick O’Keefe: Yeah, I think it’s a really interesting discussion around community death almost. If you can think in advance, and like you said it’s challenging, but if it’s gonna be short term decide that and maybe it become something more. But, community is one of those things where, as you know, as a lot of people listening to the show know, it’s kind of a long game. So, it’s always tough when someone says, “Lets see. How long should we give community?” That’s a question I’ve been asked plenty. Like, “How long should we give our community effort?” Like, I wanna say, “Well, if you’re not willing to put in like a year.” I always tell people, “Think about a year, 18 months, as far as getting it to a point where it’s really active.” ‘Cause three months, six months… I understand people have constraints, but just do something else is what I tell people. And people might disagree over that, but community is really a long term thing and if you’re not willing to commit a period of time to experimenting with it and seeing where it goes, it’s really, in a way, kind of unfair to the people you’re attracting anyway. 10:21 Vanessa Paech: I fundamentally agree with that and I too, over time, have given that recommendation. Said, “Perhaps community isn’t the answer you’re looking for and just to really refocus the question on what problems are you trying to solve? What do you think this community’s going to do for you? For the users that you’re intending it for?” Which is the most important question. And you’re right, maybe it’s not. And it’s totally reasonable for an organization to say, “Look, we’ve only got three months and this finite amount of money.” Great. So, then perhaps you do a different type of experiment that can achieve some similar outcomes for you because you’re right, it is unfair and it’s also not realistically going to give that experiment any kind of chance for benchmarking and success. It’s barely going to move sort of beyond it’s inception phase at that point. And, yeah it could have a wonderful life in it but that’s really far too short a time frame to assess that. 11:07 Patrick O’Keefe: Your history in community is colored by the arts. You went to school for musical theatere, you started participating in arts related online communities, like XPA, a TV show. You were drawn to the internet. You work in content creation for arts related companies and organizations, like the Village Cinemas, the International Federation of Arts Councils and Culture Agencies and ArtsHub. Recently, you have become involved in academia. Publishing research papers about online community. And I’m a big believer in data, measurement and metrics as I suspect most practitioners are in our space. But I have also said that, for me, community isn’t a series of numbers and calculations. Community is my art. When I look at a well run online community, I don’t see an Excel spreadsheet. I see fine art. Have I lost my mind? 11:49 Vanessa Paech: Actually, madness itself is a form of artistry. Well, in my view, no. I feel very similar to you. I’ve always believed that community, and as I’ve sort of matured with it and developed an interplay with both the harder science aspects of it and the communicative behavioral sides of things, that it’s a cocktail of art and science, absolutely. Like many fine things, and I’m sure that… I have scientist friends who are pure scientists in every sense of the word, who also speak about the artistry of what they do in combination of course with all of the hard quantitative aspects as well. So, I think that it has to be both. I think that we are fundamentally talking about human beings, which are creatures of quantifiable aspects and less quantifiable aspects. And there is just like, in the theater and in my experience sort of being involved in shows and then doing things in front of camera, you do the work, you do your planning, there’s a science and a formula and a template to a lot of the work behind the scenes that the audience rarely sees. 12:46 Vanessa Paech: But then there is that sort of fairy dust moment that practitioners will often talk about where things come together often, it’s kind of right at the end of the piece where you’re not sure things are gonna happen and then suddenly it does come together. It’s come together because you’ve done the work, probably it would be unlikely too if you hadn’t. But there is a more ephemeral element that is probably a little difficult to quantify as easily and I do think sometimes while I applaud wholeheartedly the role of data and analytics in community, I think it’s essential. I think that it’s obviously key to us championing and explaining the value of the role and the value of industry. I do think we run a risk sometimes. I don’t think we’re right at this stage yet, but of becoming data scientist before anything else. And I don’t know that that’s necessarily the right approach. I guess, in my perfect world you have a community leader who perhaps has a data scientist on their team who can collaborate with them to really understand all of that aspect to the world that who isn’t necessarily focused just on that. I think that if we focus exclusively on metrics, we are losing something, just as if we focused exclusively on feels. We’re also leaving something behind as well. So, I think that it is a cocktail. I don’t think you’ve lost your mind at all. 13:57 Patrick O’Keefe: Well said, and thank you. I appreciate that. I would like to pause for a second and just recognize our excellent sponsor, Emoderation. Who’s social media is better – yours or your competitors? Emoderation’s social media benchmarking helps you figure out you how your brand stacks up against the competition and how you can improve. Using only the metrics and benchmarks relevant to your brand and industry, Emoderation can give you the insights to make smarter decisions for your social media. Head to emoderation.com/benchmarking to find out how you can measure and improve the impact of your brand’s social media. And if you enjoy the show, I’d love it if you send a Tweet to @emoderation on Twitter and thank them for sponsoring it. Community Signal is a team effort, it’s not just me, there’s my producer Karn, our transcriptionists, Brandon who does our voice overs, and other components as well. These folks get paid and it just wouldn’t be possible without sponsorship. 14:47 Patrick O’Keefe: In the pre-show questionnaire, Vanessa, you mentioned the idea of community management being the future of all management and how more and more business leaders are applying the principles to their work, that the community discipline is maturing into other areas. But in the same breathe, you talked about the importance of understanding the difference between social media and community. Where does this leave us? 15:31 Patrick O’Keefe: As little as I can be. 15:33 Vanessa Paech: But also doing a lot of listening, which is obviously incredibly important as well. And I think it is different region to region, certainly as speaking purely from the Asia-Pacific standpoint here in Australia, the landscape of community and social. There’s a lot of commonalities between the situation in the States and in Europe, but there are some important differences as well. One example would be that the environment in Australia, there’s a lot fewer of us, we have a pretty small population compared to the United States, while there’s a lot of activity in the space. There are fewer players by virtue of the fact there are fewer people. 16:04 Vanessa Paech: So, companies like advertising agencies have done a really great job largely in evolving to meet that need so they actually tend to dominate the conversation in Australia around social media. I don’t think that’s a bad thing. Fundamentally, so much social has come down to social marketing and a new form of advertising. I don’t think that’s a bad thing but where I get concerned is where it intersects with community, and I do think the two terms are used interchangeably. I don’t think this is about pedantry or wanting to claim one or the other. I don’t think either is lesser or greater than. They function differently, they function in complement, and they can function in counterpoint if you sort of not working them in harmony. 16:41 Vanessa Paech: Businesses and companies in Australia that are quite ahead of the game often have both in place so they have clever, well-considered, well-managed social media presence that really does look to build community engagement and offer great content and do all the things that social media are so powerful at doing. Particularly as an amplifier of ideas or of movements and of opinions and all these sort of stuff. But then they also will host a branded community of some description whether that’s on a social network or on their own network in some description. And they’ll understand the distinction in their work and harmony. I get concerned mainly because to your earlier point, we measure these things differently. What are accepted rightly or wrongly has sort of measures of success in a social media environment are not necessarily the things that you accept as a measure of success in a community environment. 17:30 Vanessa Paech: You already mentioned the temporal consideration so community tends to take longer to build whereas, a lot of social, quite rightly, is about real time engagement about achieving that sort of slightly more lightning style success or cut through and all of these sort of things. While hopefully, you’ve got a smarter view over time as well. We measure them differently and they serve different aims. Fundamentally social networks and communities are different sort of social structures, so they achieve different things. And I do think it can get a bit confusing for the people in the industry, and the people and the clients that are expecting particular outcomes if they’re looking to one when they perhaps should be looking to the other. If a business or an organization is saying they want engagement over time, then perhaps a Twitter account is not necessarily the right solution for that, but if they’re saying they wanna be part of the real-time conversation, they want to be more successfully amplified in cutting through the noise in a particular topic area, maybe something like hosting a Twitter chat might be a fantastic solution for them. 18:30 Vanessa Paech: So, I just think that they’re measured very differently, and even community health metrics… How we measure the health of a community, things like a sense of community. We don’t often ask those questions in the context of a Facebook page or a Twitter account, and I think that that’s perfectly fine. They tend to fulfill different functions. Ultimately, I think that this stuff should be at least partially defined by the users themselves as well, and I do think that that’s not really where most social stuff sits, and that’s okay. I think that most social media work is still fundamentally about a more engaged more communityesque audience engagement, rather than a kind of peer to peer engagement. It’s still, I would argue, a little bit broadcast. It’s still kind of one to many, rather that one to many ones, which tends to be more of a community model. 19:18 Vanessa Paech: So again, there’s no right or wrong, neither is better or worse, but they just achieve different things. And I think that there’s a real role to play for community professionals, particularly those who’ve sort of been around a while, watched social media develop. We’ve sort of began with online communities, and have seen social media rise in its stead, now we both co-exist. We’re in a great position to be able to talk about the pros and cons of each. How they can work together to achieve different goals, and I think it’s actually incumbent upon us to have those conversations. I think otherwise we might get into a situation where maybe we lose some stuff that’s of value in the process. 19:52 Vanessa Paech: To your point about organizations looking to community leaders for insight, it’s a quite interesting development, I mean, the desire to improve cultures is certainly not new. There’s been some discussion for some time about how companies are, particularly progressive companies are really evolving into more of a community model, where you have sort of center, distributed, sort of federated leadership. We are assuring the sort of command and control models looking for ways to empower teams more laterally, looking for ways to make our physical environments more conducive to collaboration, all of these different sorts of things, and those are really exciting developments. They have mainly happened in isolation from community professionals, and so we have change managers leading that discussion, we have a lot of people in the tech community, and the Agile space are leading that conversation, and they’re doing a great job. 20:41 Vanessa Paech: What I’ve found the last few years, is that a number of C suite individuals… So, CEOs, chief cultural officers, have actually reached out to myself, and some of my colleagues, and said, “We see what you guys have done on the community space. We know that you understand human systems, and the way people coalesce, come apart, the cycles then the way that this happens, the differences between intrinsic and extrinsic motivation, how you can create situations to promote one or the other. We would like to do more of that in our work. We would like to bring that thinking into the workplace, and really act as a community manager, rather that a chief executive officer.” I think that’s fantastic. I think this is an incredibly exciting time to be a community professional, and I really do think that the future of work, and the future of management as I said, is really community management of a sort. And understanding how to approach these different situations with a community management lens, and we have such an array of tactics in our sort of tool kit, that we’ve applied in a lot of online spaces over the years that are easily transferable to the off-line space. Not all of them, but a great number of them are, and of course there’s wonderful community managers managing off-line communities that can also bring so much value to this conversation. 21:53 Vanessa Paech: So, I think that that’s a really interesting trend. I’m seeing more and more of it, and that’s one of the reasons that I’ve decided to deepen my work in this area, and that’s why I’ve started to write about that a little more, and build out the thinking around that. Yeah, I think that it can hopefully add some value to the conversation. 22:08 Patrick O’Keefe: Yeah, and I think you mentioned that it may not entirely be a new thing, and we talk about community, in a more general sense, we talk about it as something that has existed forever, right? Building communities off-line. So, I wanna believe that there have always been executives, and different levels of management that have wanted to adopt good community building principals, even before the internet, to improve their management style, right? So, if you look at something like HR managers, or a chief people officer. Those people have already built up networks of people they might wanna hire, which is community building, right? 22:41 Patrick O’Keefe: So, I think that a lot of professionals are gonna apply it to their work in that way, so they’re gonna take these principals and apply it, but it’s still not what we do. It’s still not online community building, or community building specifically with customers and clients and people who are interested in your product. They’re taking these principals and making their function, their discipline better, but community is still its own discipline, and I think when we see people move between different spaces, it’s kind of a natural thing right? To go from marketing to communications to PR to community to marketing, to whatever, because there are complimentary skill sets that exist and I think that’s sort of a natural healthy thing that’s been going on between disciplines for a long time, even before community and I think it’s natural and interesting to see community become a part of that dynamic. 23:25 Vanessa Paech: Yeah, I absolutely agree, I think you’re right. I think there’s this interesting thing that happens culturally, where human beings love discovery, and they love re-discovery. [chuckle] You certainly, the longer you’re around, the more that you see people re-discover the same, or a similar thing again and again, and I don’t say that to be cheeky, well, a little bit cheeky. What that discovery is about is finding it in the world in a way that they didn’t know existed, or it’s very different to them, and interrogates their view of things, and then internalizing it as you say, making it their own, and applying it to their own work and their own world in a different way. I think that’s fantastic and you’re right, there’s a very compelling argument that it’s certainly so much of the work that drives community professionals in an online environment in 2016, it has its genesis even social science, absolutely. It also has its genesis in some of those movers and shakers you just described who were early thinkers of organizational entity as community, and taking the more federated leadership model. And there’s certainly those people who have been around a long time. I think they’ve may be lost conversational dominance. I don’t think they’re driving anymore, but I think perhaps what we’re seeing is maybe just entering another cycle where that way of thinking is coming to the fore again. And that’s great, and getting more oxygen, as I think it should. 24:39 Vanessa Paech: And I think that there’s a lot of fascinating things happening at the global level that are promoting that change. I also think it’s very interesting because so much of the world looks to Silicon Valley for so much. So much beyond its technology and innovation. It’s really seen in so many ways now as sort of the sanctified driver of all things. And I think that there’s some good in that. And I think that that can be quite worrisome as well. I think that I would argue that some of the power structures and alleged new models that come out of that environment, with some of these online businesses, that claim to be peer to peer aren’t necessarily as transformative as they appear. 25:15 Vanessa Paech: And that’s not saying that they’re not great businesses at all. But a lot of people take a look at that, and say, “Wow, that’s totally reinvented the wheel. That’s really upended that power dichotomy. That’s not hierarchy, at all. Wow, everything’s changed.” There are truly some transformative things happening, but I actually think that they’re more… It’s the more invisible stuff that’s happening that’s quite transformative. I think that some of those things are still really just a different version of the same old palace structure. I think that to think of Facebook is fundamentally a really, really, really, really powerful incredibly impressive private company. [laughter] To think that it’s some sort of transformative human force for good is overshooting a little. And again, that’s not to diminish the value that it’s brought to so many people. It’s just that I think that we get a little carried away with the rhetoric sometimes. 26:02 Vanessa Paech: So again, I think this is about those cycles, and how we can maybe refocus the discussion, get down to community basics. Just the way that individuals interface, and take lessons from our peers, and take lessons from history. I’m definitely a bit of an old nerd. Even though I’m always a bit of a fan of looking back as much as we look forward. I think that it’s really important to take stock, and to look at what’s come before. And less we repeat the mistakes, and all that. And it can aid that process of rediscovering where we are reminded that we’re not necessarily reinventing the wheel, we’re discovering a whole new type of wheel. It’s just that this has become really relevant again. That’s super interesting. Let’s ask why that is, and how we can learn from the ways it’s been applied in the past to apply it more successfully. 26:45 Patrick O’Keefe: I agree. I think there’s a cycle to most things. Most things come around again, and especially in community, and for those of us that have been around for a while to see it happen, and it’s fun and interesting. 26:55 Patrick O’Keefe: Like you said, interesting in many, many ways. Also in the questionnaire you said, “I passionately disagree with the rockstar community manager phenomenon.” Elaborate on that, please. 27:06 Vanessa Paech: Right. Well, this might be controversial, but I’ll cop to that. [chuckle] So look, I think there’s a lot of community managers who are very well known in the space. And I would not take that away from them for a moment. But what I think… And I would actually say it’s not just about community managers, I think it’s almost in any field, but particularly community management. I think that if you have a community manager, who is actually the community manager, not a community ambassador or some kind of other spokesperson. 27:34 Vanessa Paech: Yes, which is by content, that is a different role that demands more of the spotlight by its nature. If you’ve got the person that’s doing that community management day to day, I think that we run a great risk if their personality, their whims, their ego, whether they have a big one or not is irrelevant, but they as the individual, starts to in any way to displace the collective needs of that community. And I just think it’s a fine line. I don’t think most community managers that end up in that place do so by design. I don’t think that they intentionally wanna put themselves before their communities at all. But we love to hero worship as human beings. [chuckle] And I understand why, but I think it’s a little risky to put the focus too much on the individual. 28:16 Vanessa Paech: I really believe that some of the best community managers I’ve met over the years are within their communities at least, they could be quite invisible. They’re certainly more understated, and they’re not that social butterfly. I think it’s very dangerous to associate somebody who’s the life of the party, and a bit of a networking superstar with community skills, and I do think that conflation happen sometimes as well. You’ve got people that add incredibly useful information to the industry and to the discussion. And that’s a different kind of value proposition. But that doesn’t necessarily correlate with being a great community manager. So, I just basically think it takes our eye off the ball. I think it takes our eye off while we’re there. And I think that it’s not, ultimately, it services the community. So, I think that it’s a bad habit to get into. 29:00 Vanessa Paech: I’d be railing against any kind of industry wide push should that happen. For us to be all about the egos of the individuals in the space, I think it really needs to be much more about what’s going on with our groups, and how they’re interconnected rather than in us as individuals. I actually think you’re a great example of that Patrick. You could easily be a rockstar community manager ’cause you are a bit of a rock star. But in the context of your community, you’re there to do a job and you do an outstanding one. Your rock stardom comes from all the other things that you do for the industry. And I think that seems to me like an appropriate balance. I think that I’ve certainly seen communities where, and it probably actually does happen more in a social media context where… Whether there’s just people are nailing responses on Twitter or whatever that might be, and look more power to them. But, it becomes about them, and it doesn’t really become about the problem or the need or the point to the community in the first place. So, I just think we need to just be mindful of that and just check ourselves on that every now and then. So, it’s not really about our egos. 30:36 Patrick O’Keefe: So, to me, the community is a lot of behind the scenes grunt work, tough stuff, making tough choices that people never will know about, but are for the betterment of the community. That you won’t really get praised for, and you won’t really… There won’t be any massive benefit for you. No one’s gonna have a parade for you but you still had to do that tough thing and deal with the fallout. And that’s part of community management for me. It’s a tough job. 31:00 Vanessa Paech: Well, it is. And I actually think that if we go into that rockstar zone, I think that we run the risk of attracting the wrong kind of talent to the profession as well. I think that people are gonna say, “Great. This is about glory and I’m all about glory.” And get in there and go, “Holy cow! This is not what I thought at all.” And not be right for the role when there’s gonna be disappointed people on either side. So, I think you’re right. 31:20 Patrick O’Keefe: Understanding what it takes. I mean, there’s a lot… There’s a lot that goes into the role that people don’t see out front. It’s almost like how there are a ton of abandoned online communities right now and there have been for many, many years. And there’s always more because people, not people in the profession, but anyone can start a great online community. It doesn’t have to be someone who’s a community professional. And a lot of people start a community with the idea that, “This gonna be fun. I’m gonna just talk about the thing I love all day. It’s gonna have cool people and we’re gonna talk about this thing I love, and that’s gonna be it.” But the reality is that when you choose to build a community about something, you actually take yourself away from that passion because now you have a new passion. That passion is community management and it’s nothing to do with cars or sports or whatever the community was about. It’s a totally different, painful, stressful, difficult, challenging task. 32:05 Vanessa Paech: Yeah, that’s exactly right. And while I think, in many cases, having an understanding or even a passion for the subject of that community or the underlying intent to that is really useful and often might make a community manager very fit for purpose. As you say, that’s not why they’re there. So, I just think we need to be really careful. And this just talks at the industry level to how we’re hiring our community managers, how we’re phrasing those job ads, how are we selling the industry to the world. So, that’s sort of where I think we just need to be that little bit mindful and not try to suggest that become a Twitter ninja and receive parades in your honor. It’s actually quite a hard slog. And again, that’s a little bit of the distinction between social media and community. Not to suggest that running a Twitter account is easy, mind you. 32:46 Vanessa Paech: But, social media is so much more about those individualized rockstar moments, I think, by it’s nature and community is about something a little different. I often think of the Flintstones car where you’ve got kind of the legs powering along underneath and it’s fairly smooth sailing on top. But there’s all that hard work going on underneath, like anything. So yeah, if you’re in it for the glory and the honor, it’s probably not for you. 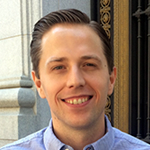 33:08 Patrick O’Keefe: You recently wrote that communities need to get things done. That they need finishing moments. What do you mean by that? 33:15 Vanessa Paech: Yes so I wrote that blog post inspired by a little event that we actually held here in Envato called The Final Mile. So, there’s a lot of great stuff happening out there. Events that start things. So, whether they’re a part of a work environment or side events like a hackathon or an event that launches new things and gets ideas out of people’s brains and onto a whiteboard or whatever that might be. But I think that in our busy, busy time poor lives, it’s pretty rare these days to actually finish something. The work-to-do lists are always going to go on into perpetuity by their nature, so it’s uncommon to have a closure moment. And I think that, from a community perspective, as we were talking about before, when you’re dealing with a community that has a life over time, there can be a great sense of unfinished-ness and incompleteness in that community if you don’t find ways to give that community those little milestones and those little rituals where they can feel like they’ve put the finish stamp on something, that they’ve completed the task. 34:10 Vanessa Paech: So, whatever their ultimate objectives are, whatever they’re there for and showing up for to achieve over time as a group, how can you work with your community to carve out small tasks, small moments along the way where they can hang their hat on something and truly feel the sense of achievement? It could be quite small but those sort of moments really give them a feeling of accomplishment. They absolutely deepen that sense of community and that shared sense of community. So you know… But, they remind them that they have influence in that space and that things are getting done, which is also really terrific, of course, for promoting that sense of community over the long term. I feel like there’s a lot of probably business run and branded communities that… Customer service communities are great examples. They’re a huge challenge in so many ways. 34:53 Vanessa Paech: But, there’s always that great sense of endless unanswered questions and endless unfinished tasks. So if you can… A lot of that might be out of your hands, particularly as a community manager. So, how can you graft atop that ways for people to come together or for you to help drive something that does actually have a beginning and an end? I don’t think that it’s important that this happen all the time and I don’t think it should dominate. But I think that there’s a lot of power in that. Certainly this event we held, people brought along projects, side-projects that they had in their professional or personal lives, for anywhere, from a month to 10 years. And they actually finished them off and they sort of committed to this weekend instead of a hackathon where we create something really interesting that sits on a shelf now or goes, is not deployed to production. We’re gonna actually finish this. We’re gonna tie this up with a bow and let ourselves have that moment that is all so rare these days. And people came out feeling incredible. The adrenaline, the motivation, there was delight, there was joy, and there was a real sense of seeing the possibility come to fruition and immediately sparking ideas about what the next thing could be. So, I think that there’s a lot of power from a social point of view in finding the way we can bring these moments to our community members. 36:02 Patrick O’Keefe: We talked about how community is like life and as we go through life… I turned five, I graduated the second grade, I graduated college, I just got a new job, I got a driver’s license, I cleaned my room. [chuckle] I think there are things that we celebrate at different ages to mark the passage of our lives. And it’s… For a lot of people, for most people, life would probably be a little more difficult if we didn’t have those occasions to mark. 36:27 Vanessa Paech: I think you’re right. The race of life, if you’re fortunate, is a long one. So, it’s very important and gives us so much to have those small moments, usually they’re quite small and that’s perfectly appropriate. And you’re right, a community needs those as well, it needs to have those milestones. I think it’s connected a lot to just, to how we mark and manage milestones within the community, but I think that they should be, wherever possible, designed to communicate and really bestow on those community members involved, a sense of completeness. You’ve achieved task X, and it could be done quite simply or superficially but the more you can make it part of your community culture, and driven by your members and working with your members on that as well, and getting them to self identify those. I think there’s so much power in that. I’ve seen that work a treat in a number of communities. 37:13 Patrick O’Keefe: Yeah, and I think every community has milestones, every communities has holidays. You just have to think about them and find them. So, there’s the simple ones. We’re 10 years old, we’re five years old, anniversary of launch, we’ve reached 100,000 posts, a million posts. There are staff anniversaries. I know when my staff members have been with me for a year. I have a staff member who’s been with me for, gosh what, 14 years now? 13 years now? A really long time. So, we note that every year, I have it in my calendar, I get notified. Major ones come up, we plan in advance to do something special. When I look at KarateForums.com, there’s certain threads that occur every year, and what’s beautiful about it is I don’t have to do it, the community does it, they recognize it. 37:50 Patrick O’Keefe: For example, there’s a thread, “Martial Arts Goals”. For years now, someone starts it at the end of the year and people start talking about their goals. Not resolutions but their goals in the martial arts for the next year. Inevitably, someone comes back in September or October and says, “How did we do?” And they talk about how they did. A lot of the same people, we have a lot of long term members. And so, they’ll come back and they’ll review their goals. And then, they’ll start another thread for the next year. And it carries over inevitably where it’s not necessarily… Well, it’s definitely getting things done, because they’re getting things done in their lives, but it’s something that happens every year, and they do it, and they recognize it. And things like that are very powerful. 38:28 Vanessa Paech: Yeah, and I agree with that important point you just made too. It’s not… Even if they returned to that thread and it’s like, “You know what, did that one, kind of fell down on the job on that one. We didn’t quite get there.” That, in and of itself, is a finishing moment by bringing closure to the goal. So, I think that it does have a power and it’s another way to bind those community members together, and together in the context of that community. 38:48 Patrick O’Keefe: Vanessa, thank you for coming on. 38:50 Vanessa Paech: It’s a great pleasure, Patrick. I really enjoyed it. 38:52 Patrick O’Keefe: Where can people find you online? 38:53 Vanessa Paech: They can find me most of the time on my own website which is vanessapaech.com. They can also find me on the Twitters, also @vanessapaech. 39:02 Patrick O’Keefe: And Vanessa Paech is V-A-N-E-S-S-A P-A-E-C-H, and we’ll have links in the show notes. This has been Community Signal. Visit our website at communitysignal.com for subscription options and more. Community Signal is produced by Karn Broad and I’m Patrick O’Keefe. We’ll see you next week. If you have any thoughts you’d like to share, please feel free to leave me a comment or send me an email or a tweet. If you enjoy the show, we would be grateful if you spread the word.